American stock car driver who was named 2002 Craftsman Truck Series Rookie of the Year. He played college basketball as a walk-on at Georgetown University. 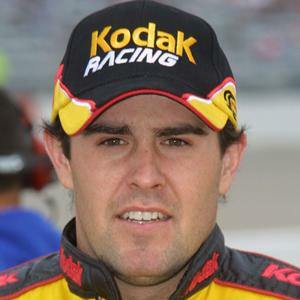 He won his first NASCAR Camping World Truck Series race at the 2002 O'Reilly 400K at Texas Motor Speedway. His grandfather Jackie Gaughan was a gaming pioneer in Las Vegas. He had an intense rivalry in off-roading competition with future NASCAR star Jimmie Johnson in 1996.